It's officially Fall! Time to start thinking about great outerwear like cozy knits and trench coats, but when you think of Fall, I'm sure pastels are not the first hues that come to mind. 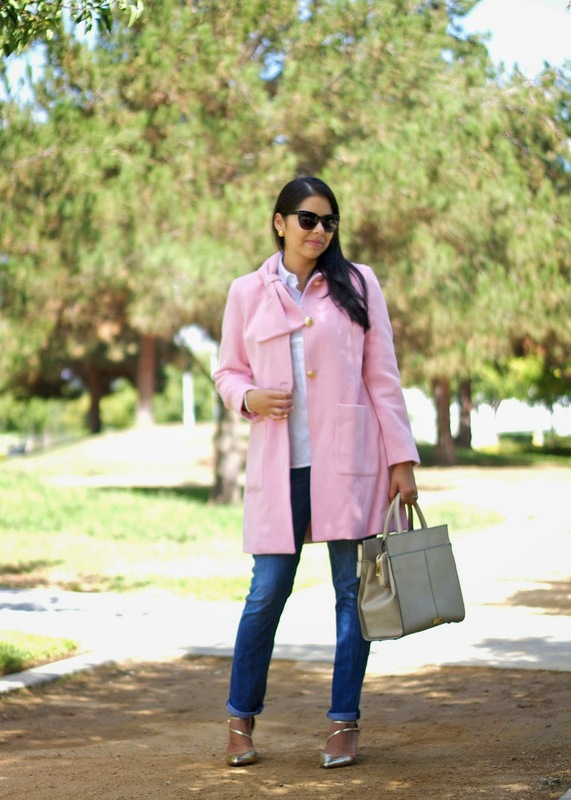 Enter CAbi's "tuscadero coat", the perfect pastel pink coat that I fell in love with (and judging by the comments on my sneek peak on instagram so did many of you). With a cute bow detail and gold buttons, this coat makes any outfit girly and sophisticated. I will be featuring Fall looks throughout the week thanks to CAbi and their great quality outerwear. If you're not familiar with CAbi, it is a beautiful, sophisticated collection of women’s apparel created by Carol Anderson. Designed for real women (like me!) who live real lives, the line includes an affordable mix of professional separates and casual everyday pieces that are refreshed twice yearly, in the Fall and Spring to stay on-trend. 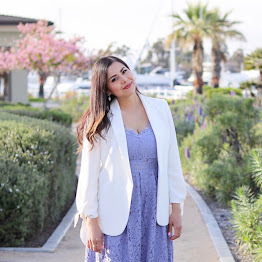 Stay tuned as I style more of CAbi's pieces! Great coat for Autumn! Love the pink color! That coat is so pretty! I love the color and the bow detail!! I love the coat, it's girly but sophisticated!